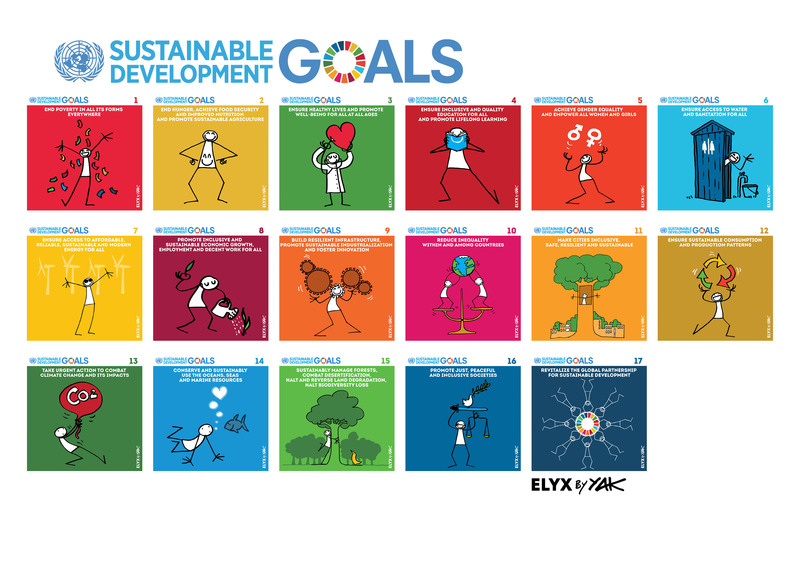 There are 17 sustainable development goals with 169 targets in contrast to the 8 Millennium Development Goals with 21 targets. The complex challenges that exist in the world today demand that a wide range of issues is covered. It is, also, critical to address the root causes of the problems and not only of the symptoms. The sustainable development goals are the result of a negotiation process that involved the 193 UN member states and also unprecedented participation of civil society and other stakeholders. This led to the representation of a wide range of interests and perspectives. On the other hand, the MDGs were produced by a group of experts behind closed doors. The goals are broad in scope because they will address the interconnected elements of sustainable development: economic growth, social inclusion and environmental protection. The MDGs focused primarily on the social agenda. The MDGs targeted developing countries, particularly the poorest while the sustainable development goals will apply to the entire world, the rich and the poor.